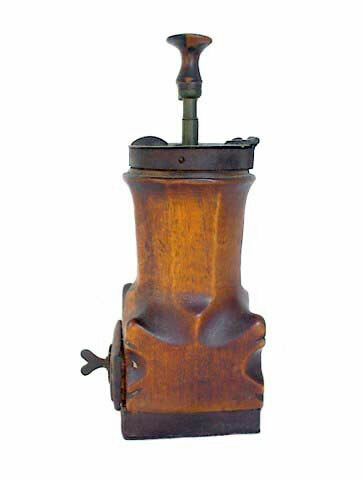 Presented here, a wonderful 18th Century Spice Grinder. It is beautifully and boldly hand carved out of a single piece of walnut and has a little drawer on the front for removing the spices after they were ground up. The drawer has wonderful 18th C. escutcheon with heart shaped pull. 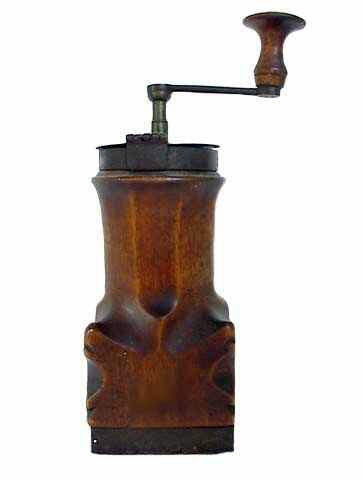 The grinder handle, made of brass and wood and which is removable, has a turned wooden knob (which does have a chipped edge). It has an applied metal base. 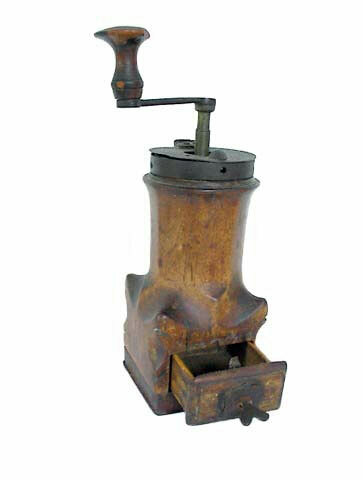 The grinding mechanism is in working order. 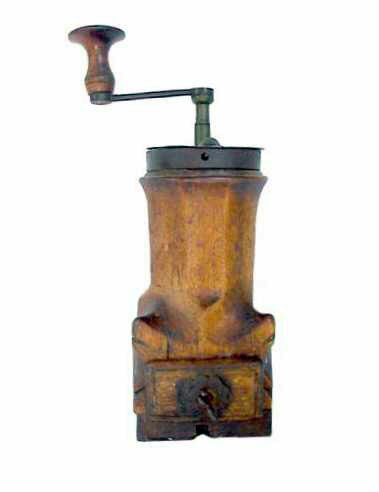 With a warm dark patina from age and years of use, the grinder measures 3-1/4" by 3-3/8" by 6-7/8" tall (9-1/2" tall with handle in place). This is a wonderful early piece of treen from Pennsylvania that, while utilitarian in nature, becomes Folk Art because of the outstanding form, and a true treasure for any collector of early items.